If you’ve missed Ron Howard’s documentary “The Beatles: Eight Days a Week — The Touring Years,” you can catch it on PBS.The Grammy-winning 2016 film will screen nationally at 8 p.m. Saturday, Nov. 25. WUCF TV, Orlando’s PBS station, will carry the film.A repeat of “Sgt. Pepper’s Musical Revolution” will follow from 10:30 p.m. to midnight on PBS (and WUCF, too.). It focuses on the Fab Four during the making of the landmark album “Sgt. Pepper’s Lonely Hearts Club Band,” which was released in 1967The Howard film focuses on the Beatles — John Lennon, Paul McCartney, George Harrison and Ringo Starr — from 1962 to 1966.They began touring Europe in 1963. 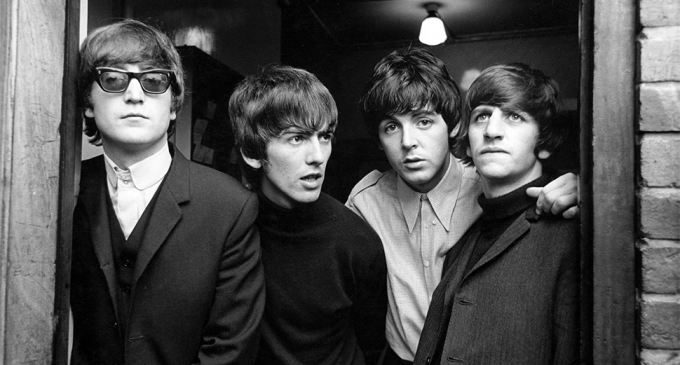 The group gained national attention through a Feb. 9, 1964, appearance on CBS’ “The Ed Sullivan Show.” The Beatles later started their first world tour.The Beatles gave their last concert at Candlestick Park in San Francisco in 1966.During their tours, they delivered 166 concerts in 15 countries and 90 cities.The film contains rare and never-before-seen archival footage and new interviews with McCartney and Starr.The authorized film was produced with the cooperation of McCartney, Starr and the widows of the other Beatles, Yoko Ono Lennon and Olivia Harrison.